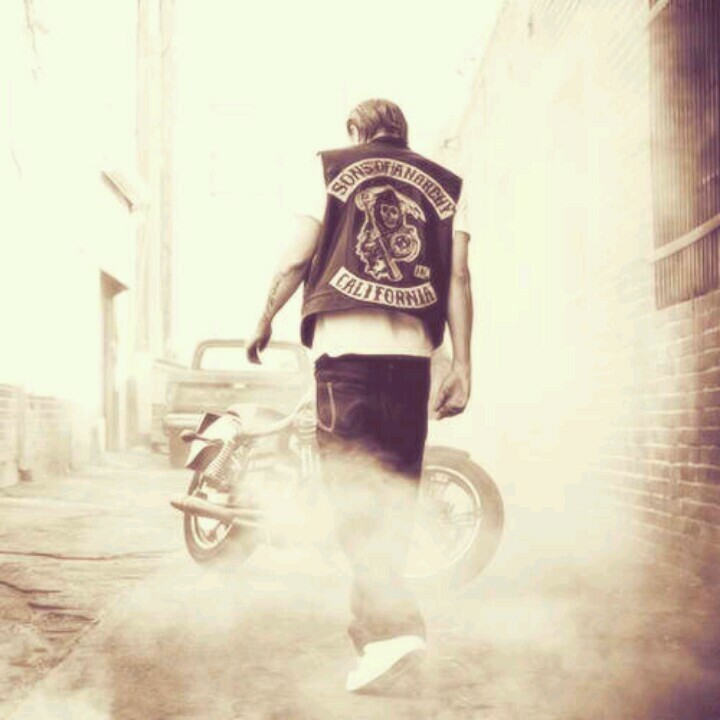 One of my favorite shows, Sons of Anarchy, comes back tonight after what seems like a million year break. If you've never watched it, you should really check it out. It's exciting, gritty, suspensful, beautifully written...and has some definite eye candy. 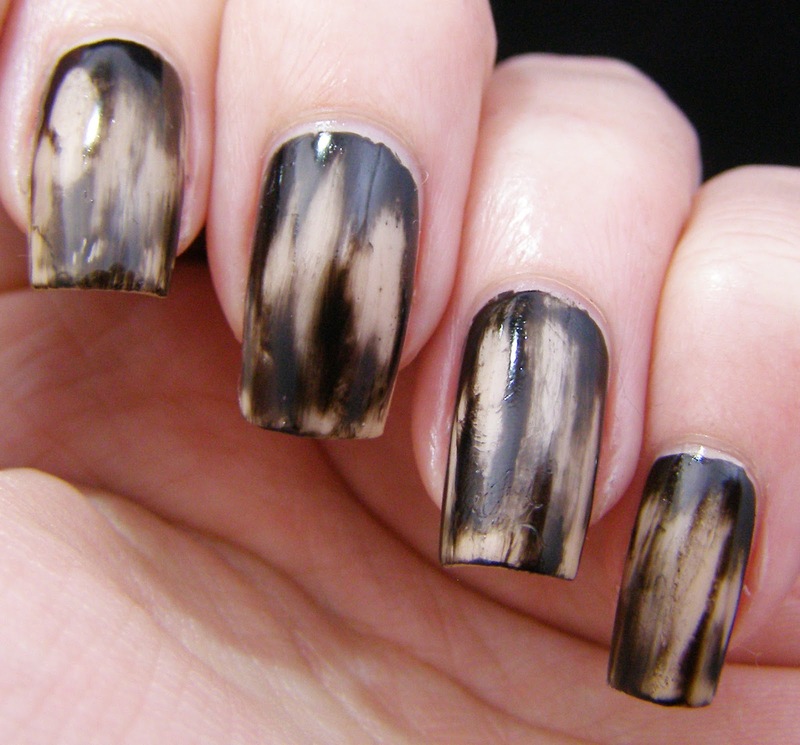 I decided to do a manicure for the premier, and started cruising around Pinterest for inspiration. Check it out tonight, September 10, at 10:00pm (7:00pm if you have directv and are on the west coast) on FX. It's a great show. So excited about the 90 minute episode tonight ! I'm fairly obsessed with this show. What do you think about Charlie being cast in 50Sog ? I dunno. I love Charlie Hunnam, so I might just watch it for his sake. Have you seen Green Street Hooligans? its actually kinda easy. Paint your base color + top coat. Then apply a thick layer of your second color. Once it sets up, use a cotton ball/pad soaked with remover to wipe off bits of the top color. Then add top coat. Hi! I would love to know how u got this effect! Its really cool!